The Writers' Lens: Katana Giveaway! 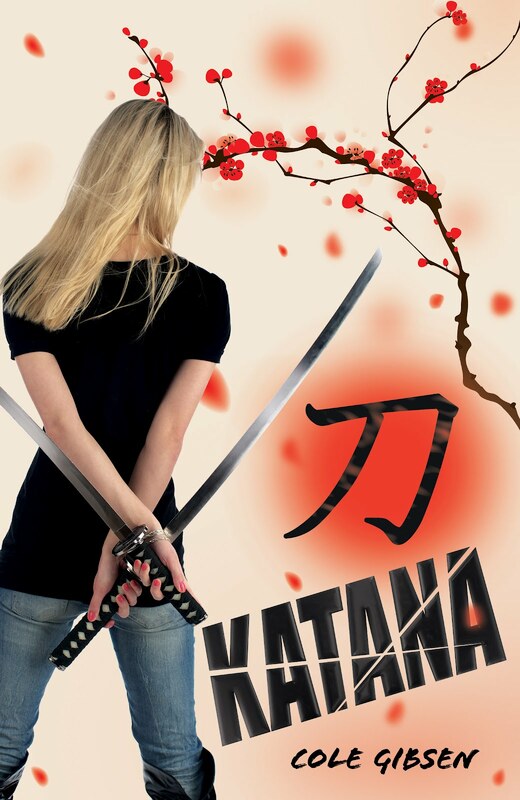 This Monday, The Writers’ Lens has an exciting giveaway – KATANA by Cole Gibsen! This week The Writers’ Lens is giving away a copy of Katana. It is easy to enter, just leave a comment on this post or any of the posts this week! One note about the giveaway: Due to shipping limitations, you have to live within the continental United States to win. Apologies to the international readers, we also have giveaways are fully online so anyone can win. To enter the contest, simply leave a comment or question on The Writers Lens Blog between March 26th, and midnight March 31st, 2012. Please include your email so we can reach you if you win. The more comments you leave, the greater YOUR chance of winning the contest. The winner will be chosen after midnight on Saturday and the announcement made on Sunday, April 1st. Don’t forget to pick up a copy of her second novel Breathless, available soon. Thanks for entering, and good luck with the giveaway! How about making your giveaways eBooks for those of us who live outside the US? So looking forward to reading this one. Cole is awesome! After doing a interview with her as part of the Blog Ring of Power, I'd really love to read her books! I do have to agree with Widdershins, having it in EPUB or PDF format would help with those living outside of the good ole USofA. I suppose it's too late now though. We do have e-book giveaways, sometimes. I can't do it for this giveaway - I let you in on a secret - I think I can get Cole to sign the book for whoever wins. But having another giveaway with an e-book of Katana and Breathless... that might be coming some Monday in the future! Oooh, oohh **waves hand frantically** Put my name in the hat for the random drawing, please! Both of these books sound exciting. I'm really big on strong female protagonists and my son likes swords.